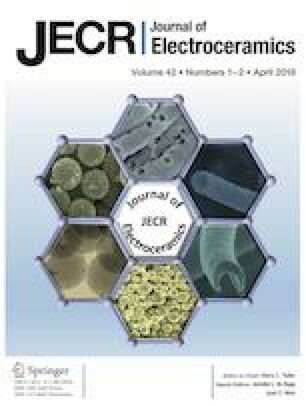 Porous cell stacks with composite electrodes of La0.85Sr0.15Co0.03Mn0.97O3+d and Ce0.9Gd0.1O1.95 were characterized for the electrochemical reduction of NO in net oxidizing atmosphere in absence or presence of propene in the feed gas. No NOx was converted when the porous cell stacks were at OCV or when polarized. However, when the cells were infiltrated with Pt, an effect of this was observed. It was shown that Pt had a very positive effect on the NOx removal properties of the porous cell stacks, and that NOx could be removed both at OCV or when the porous cells stacks was polarized, both in the absence or presence of propene under net oxidizing conditions. The porous cell stacks was also investigated using electrochemical impedance spectroscopy. It was shown that the impedance data could be de-convoluted into four arcs. Each arc could be fitted with a constant phase elements in series with a resistor. The arcs could be attributed to physical processes. This study was funded by the strategic research council of Denmark (grant number2104-08-0009). The authors declare that they have no conflict of interest.